“Defiance,” the upcoming television series/transmedia event from Syfy, seems like the perfect project for SXSW, a mix of narrative boundary-pushing and technology right on line between hip and geeky. 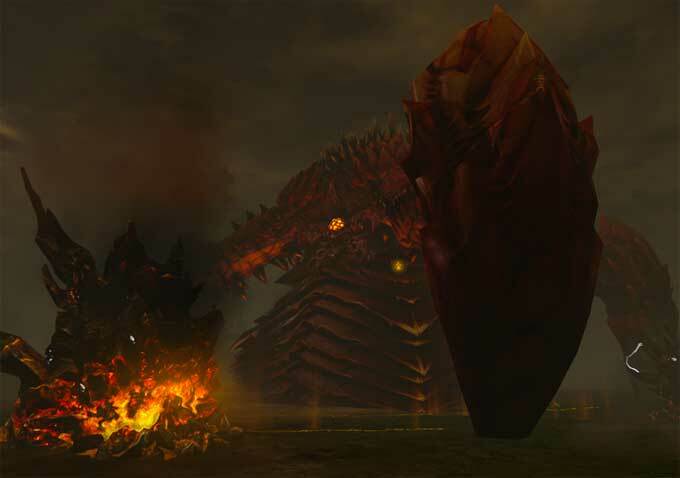 “Defiance” is both a video game and a Western-influenced science fiction drama set on a near-future Earth half-destroyed after contact with an alien species. 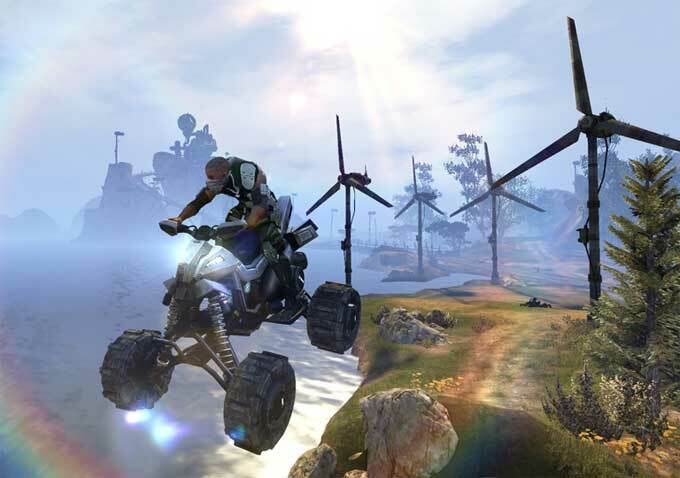 It’s not the first project to attempt to span platforms, but its the first to feel so evenly distributed between its mediums, with “Defiance” the game being an MMO shooter that’s been in development for several years from developer Trion Worlds. 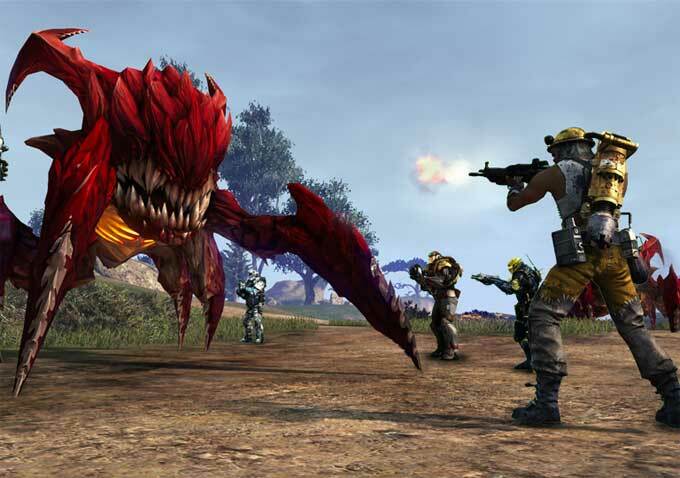 The game half of “Defiance” is being released on Microsoft Windows, Xbox 360 and PlayStation 3 in April, and could serve perfectly well as a standalone entity for gamers with no interest in the TV series. The reserve is true for the the show, which premieres on Syfy on Monday, April 15 and stars Grant Bowler, Julie Benz, Jaime Murray and Mia Kirshner, among others. 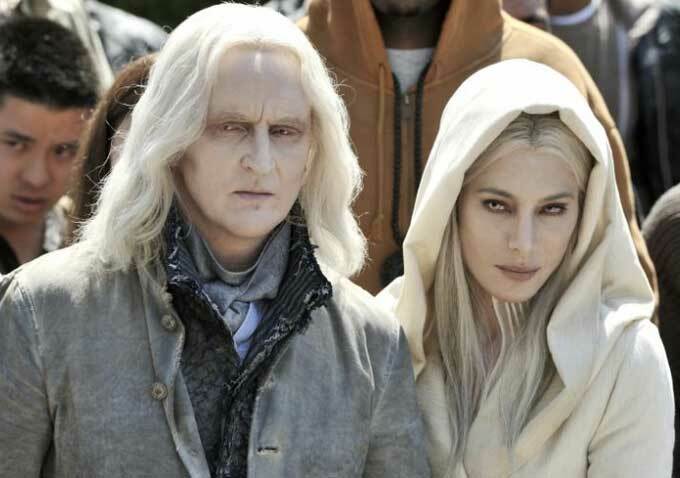 But “Defiance” showrunner and executive producer Kevin Murphy is particularly interested in the folks who’ll take advantage of both platforms and who’ll see the intersection between the two. Indiewire caught up with Murphy at SXSW at Syfy’s “Defiance” container village (complete with a cast members living in a transformed shipping container for the duration of the festival), where he told us about creating a story that spans two platforms and shared the news with us that he’s already working on a second season of the show. People have tried to do cross-platform projects before, but often one side is clearly dominant. How, going into this, were you able to make sure there was balance between the two? Well, one IP is not iterative of the other. Both worlds have a shared mythology that are developed concurrently — it’s been this way since the beginning. As this goes forward, when we are talking about season two of the TV show we are also talking abut season two of the game. We will continue to try to tighten the relationship and crossover elements. I think the fact that it is all happening at the same time, it really doesn’t give one of the two portals time to become dominant, as opposed to when people have done this before — there’s a video game called “Red Faction” that was made into a TV movie for SyFy, or you have a successful show like “Battlestar Galactica,” and you’ll make a game of it. Or you’ll have a million and one “Star Wars,” games, but the movie is always going to be the juggernaut that everyone remembers. In this, the show and the game are equal partners. To the extent that we’re able to succeed, that’s why. There’s a real sense of how much world building has been done — the different alien languages that have been created, the races that have been delineated. Was “Defiance” conceived of as a world first, and then the narrative elements were built up from there? Yes, I would say that that is very fair to say. One of the questions was how would we do both — that was the genesis of the idea to have the show take place in St. Louis and the game take place in the Bay Area, because that would give us both our own little sandbox. If we had set it all in the same town, it would force the video game to digitize all of the actors and would’ve gotten in the way of the week-to-week narrative of the show, because in a video game you have to do it all way in advance whereas on a TV show from the conception of an idea to shooting it there are maybe six weeks. 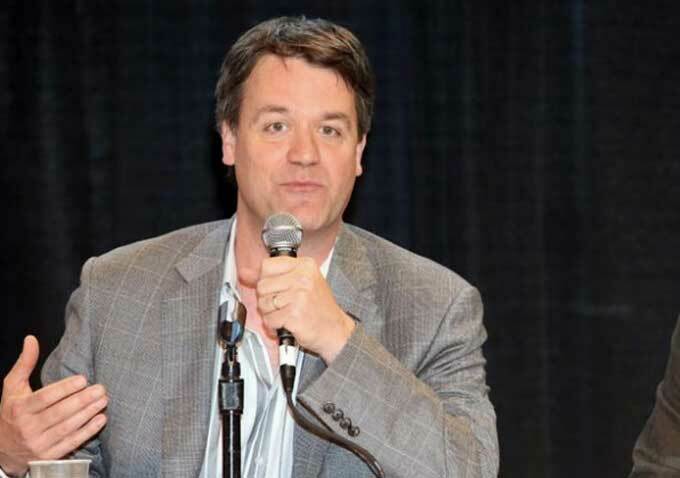 Everything operates at an accelerated rate — that’s been one of the things that Trion, on the TV production time, has done a lot of work and creative thinking to accommodate a lot of creative schedules because our needs are so different. How has the process of educating audience who might be unfamiliar with the idea of a transmedia project been? I don’t know if it’s conscious, but to a certain extent I would call it a Trojan horse strategy. We are promoting the show like we are promoting a big event series on SyFy, and the video game is promoting itself like a fantastic new MMO. As you look deeper you realize “Oh, it’s actually one world, two portals,” but you don’t necessarily get that immediately when you’re looking at the poster. I think we’re going to have this imaginary Venn diagram where we’ve got people who watch the show, then those that play the game, and then the overlap in the middle — the super fans. The people that are going to absolutely immerse themselves in the worlds. They’ll look for all of the connections between the two. We don’t want to alienate the people who watch the show to enjoy the show and don’t feel like they have to play the game and vice-versa. So a lot of the crossover elements are subtle. For instance, we have a plague episode. We introduce that in the show and then a timed mission goes live after the show airs — basically the town sends an emergency distress and needs a cure for the plague. So the player’s mission, which will last until the next air date, has them going to find all of the components, invading the abandoned thing and starting up the ICBM, because the only way to get it to Defiance in time is to fire a rocket. Space travel rarely ever works in this world, there’s too much debris and crap in the atmosphere, but the player is forced into this. So the next week on the show the package is coming in from San Francisco, and we don’t deal with that part of the story. The TV audience doesn’t need to know how that came about because the obstacles in the show are getting to the rocket where it’s landed. If I’m a television viewer, I don’t feel that I’ve missed anything, but as a game viewer I have a much more intimate relationship with that rocket because I worked really hard to make all that happen and complete the mission. That’s the way we are trying to make it work. It’s a very different way to think about storytelling outside of the traditional television narrative. My cheesy metaphor that I like to go to is “Back to the Future” and “Back to the Future Part II.” “Back to the Future” is a fantastic, perfect, wonderful movie — and you never know that in “Back to the Future Part II,” Michael J Fox is secretly behind the scenes making that stuff happen, which makes “Part II” a completely awesome, fun experience in a different way but doesn’t rob the enjoyment of watching the first. That’s what we are trying to do here in creating a transmedia experience while not having the casual fan feel like they’re missing something and haven’t been invited to the party. That might change as we see how the public reacts. We are nothing if not flexible, and if the fans are telling us they want a big crossover tentpole story in the game with the world and that the audience supports that, then that’s what we’ll do, we are set up for that. We just want to make sure everyone is getting the best entertainment experience possible. Do you have any idea what percentage of people watching and playing will be in that Venn diagram center? I have no idea. I suspect somebody among the assembled legions of SyFy and Trion have an idea, I just don’t know what it is. I hope it’s a lot, because the bigger that segment is, the more likely we can make the crossovers more meaningful — and that is to me more exciting. I’m much more interested in breaking new ground with something that hasn’t been done before, because that’s what you get into the business to do. I want to tell more cross-platform stories. Sci-fi as a genre has a legacy of fans who are detail-oriented, but with TV in general now people are more completist, making their way through back-catalogues of shows that are now more accessible. It’s interesting that you brought that up because that’s something that we have discovered recently. It’s almost like a third portal has begun to crop up. We are getting very complex with a lot of our mythology material as far as documents released on Tumblr. We have a mythology coordinator and I go through him, and Bill and Nick from the game vet everything, but basically one of the ideas I have is that there is this communicade between two of the characters on the show that talks in great depth about one of the big mysteries that we are putting out on Tumblr. However, because of a military thing, it has been redacted — and the idea here is that when you achieve things in the game you will get a code that will un-redact things in the document. That’s one of the things that we are trying to work out. How do you go about keeping an eye on the whole universe as you have? Our mythology coordinator [Brian Alexander] takes the point on that. This is a guy I have worked with for a long time. He was a script coordinator on “Desperate Housewives” — I was on that for the first couple of years — and I stole him once again to come work on this show. He sort of fell into the idea of helping us keep the mythology straight. We all had big bibles at the beginning but no one was keeping them up to date, so they became useless because there are a million new ideas happening. He basically maintains an ongoing wiki, which allows anyone on the production staff, the costume department and the game side to instantly get access to all of the show’s designs and designs for the game. We know what Canada’s like, we know what Scotland’s like, and one day we’ll tell the story of what that is, but we haven’t yet. As a result we are able to tease and reference those things and Brian is able to keep that straight. So whenever I’m in the writer’s room and someone asks a question like, “Hey, how do they go to the bathroom in ‘Defiance’?” I’m like “That’s a great idea. Go away and come back in 24 hours and I want a book report.” And they write a report, I put my notes on it and it goes into the wiki. In terms of the “Defiance” deputy ships, that was something where a question was asked and we had a writer on staff who was an L.A. County Sheriff’s deputy. He figured out the legal system as a system of private prisons. So Las Vegas, which is now marshlands and volcanoes, has become a private prison, and we developed with the game who the character is that runs the prison, he has some connections to some of our characters, and now that’s there in the wiki. Now in the TV show when we travel to Las Vegas in season two, we know everything there is to know about the various people there. When we find something that doesn’t reconcile between the game and the TV show we either fix it or come up with a reason why it exists that way. Does that position exist anywhere else? It feels like something that should exist more. It feels like a job I want to have. It’s the ultimate super fan job because your job is to pick out the inconsistencies and then get paid for it.